You consider yourself to be a responsible business owner. You have likely done an enormous amount of research to find and acquire the best insurance policy to protect you and your business from any event that may close your doors for good. You have worked closely with your insurance agent to determine how much insurance you need in case of fire, theft, or liability. You sleep pretty well at night, confident that you are prepared for the ‘worst case scenario’. Then you get hacked… Small business owners seldom think about what could be their greatest threat… Cyber Liability. 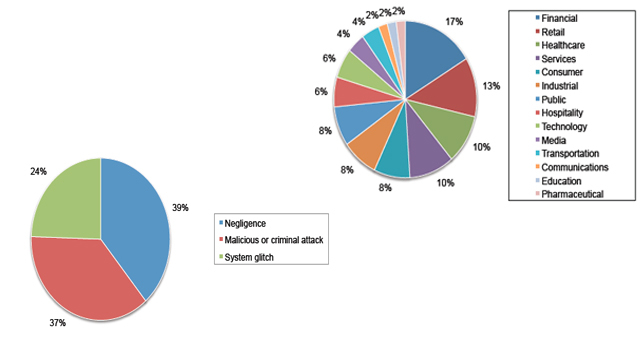 Who is at Risk of a Breach? Typically, when we think of computers being ‘hacked’, we associate such cyber-crimes with large corporations that are worth millions of dollars. The reality is however, that everyone who uses the internet could be at risk for a cyber-attack. Most of us know at least one individual that has experienced the nightmare of being the victim of a cybercrime. For a small business, however, the end result could be far worse, depending on the business’ degree of cyber liability. The term ‘Cyber Liability’ refers to the risk of the security of a computer network or device being compromised. If you are a business owner, this means that every computer, tablet, or smartphone that you, or your employees, use to conduct business is a potential portal for an outsider to exploit sensitive information. There are certainly actions you can take to protect yourself. For instance, create a policy on cyber security and make sure your employees follow it. Change your passwords on a regular basis and make sure they are not shared with anyone who doesn’t need to know them. Invest and maintain a strong anti-virus program on all of your devices. Above all, the most valuable protection you can have is a comprehensive Cyber Liability insurance policy. Our agents at the Morse Insurance Agency have the knowledge and experience to help you defend your business against this ever-growing threat. We are here to answer your questions and guide you to the most comprehensive policy based on your specific needs. You have trusted us to help you protect your family, auto, and home. Let us help you protect your business too!